For many people, wealth is not a goal, but a means to effect positive change in the world. On October 13, our panel will include philanthropists who have taken the "Giving Pledge," a commitment to give away the majority of their wealth during their lifetimes. Join us to discuss how innovations in philanthropy are helping donors make a deeper impact on the causes they care about during their lifetimes. After the meeting will be a reception celebrating the 100th anniversary of community foundations. Time: 3:30 - 4:30 pm, doors open at 3:00 pm. The reception to follow will be from 4:30 - 5:30 pm. 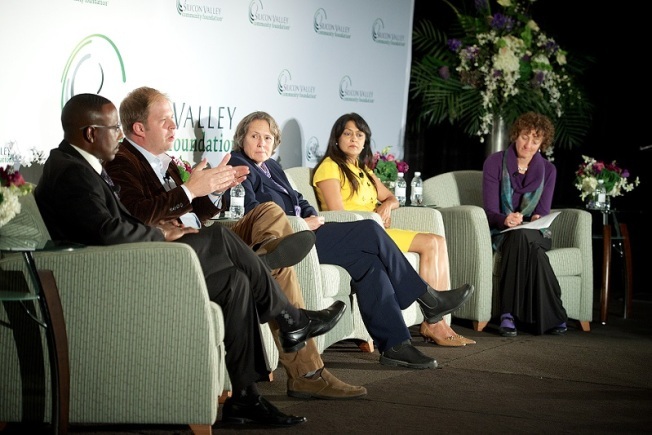 For more information, visit the Silicon Valley Community Foundation website.